Methods for understanding and reproducing classical cremonese woodwork. 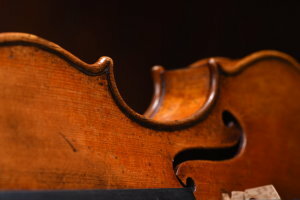 Focused on outline, purfling and edgework of Stradivari violins. Philip Ihle. Place: BELE.Basque School of Violin Making. Bele. Conservatorio de Musica – Juan Crisostomo de Arriaga. Plaza Ibarrekolanda 1, 48015 Bilbao. Spain. Date: from 29th to 31st March 2019. Friday, Saturday and Sunday. Accommodation: Bilbao has a wide lodging offer. However, we have made an agreement with “Colegio Mayor Miguel de Unamuno” hall of residence or students dorm (just in front of our school- see map-) to accommodate the participants in our workshops. All rooms are single or double and there will be a discount if a group of more than ten people ask for a place there.